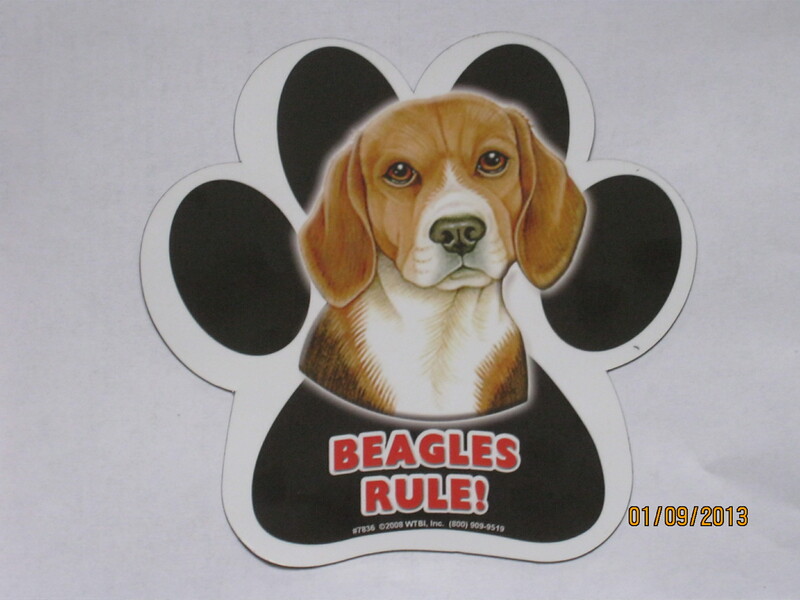 Well, you read about references to the beagles on this blog site frequently, but where are they? Do they really exist? Yes, they do. So, without further ado, ladies and gentlemen, we give you ………………….. THE BEAGLES! (applause). Gretchen is the new alpha now that Duncan has passed her the crown. 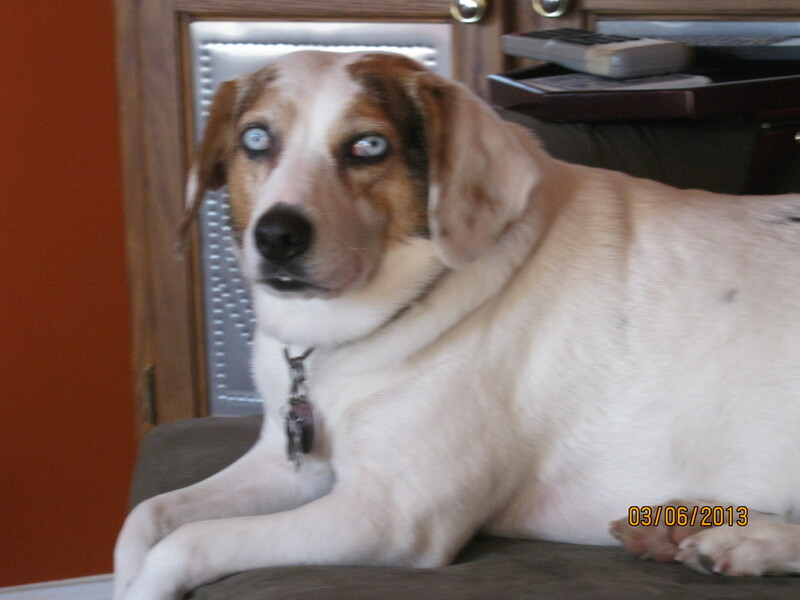 A beagle/border collie mix, she is as gentle as she is beautiful, until her pack gets threatened (that includes us). Don’t let that beautiful countenance fool you. With those stunning blue eyes, she looks like a wolf ready to attack if provoked. Here in regal repose, she is the Sharon Stone of the canine world. 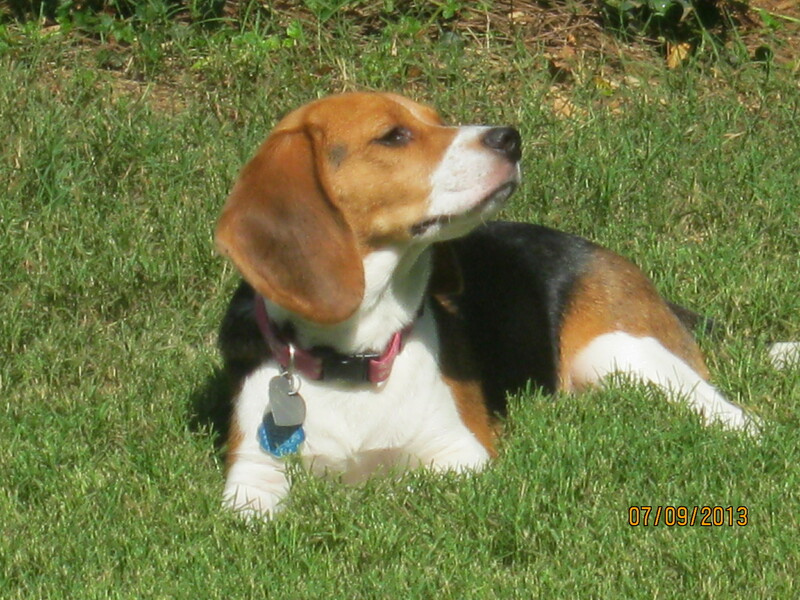 Pretty is as pretty does, and this little Southern Belle “pocket” beagle, standing less than 15 inches at the shoulder, is cute as a bugs ear. Daisy-Mai is a pure breed beagle, with the beagle bay and playfulness that goes with the breed, and she is absolutely irresistable! Gretchen and Daisy-Mai have become the best of buds, and Gretchen is super protective of her “little buddy”. They are virtually inseperable. Watching them play is pure joy, and, a bit harrowing . 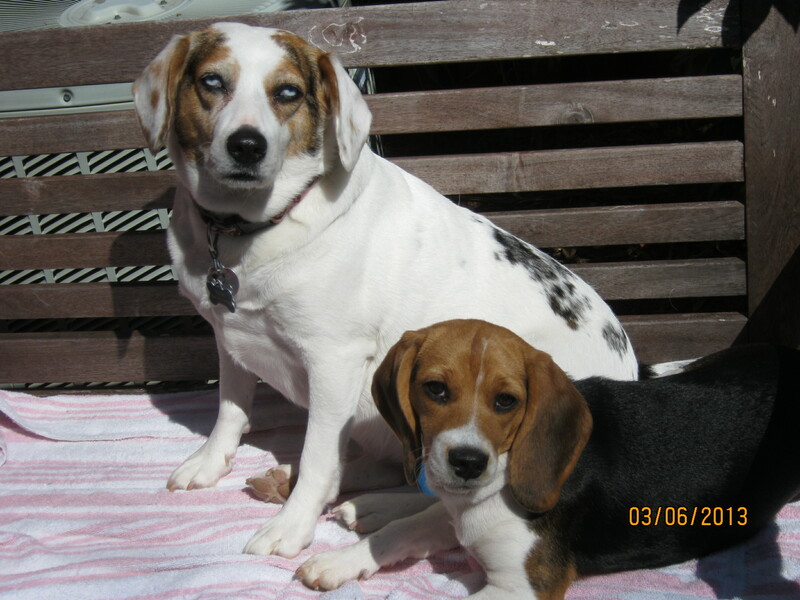 They both like to play really rough (BTBW – Big Time Beagle Wrestling). I agree, but I am biased! 🙂 Thanks for reading!